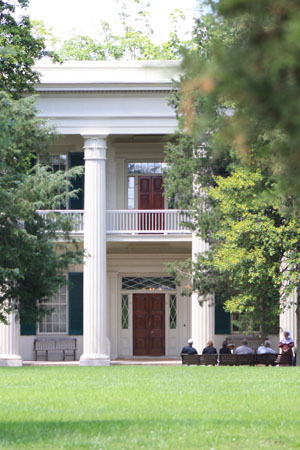 Join us in sharing the story of Andrew Jackson and his home with visitors from around the world. Employment opportunities will be updated as new positions open or are filled. The Andrew Jackson Foundation is seeking qualified candidates for the Outreach Services Assistant to assist the daily operations of the Dept. of Education and the Dept. of Public Programs & Volunteers. helping with special events involving the department. assisting with administration tasks related to the volunteer program, including updating volunteer files, applications, recorded hours, et al. Occasional nights and weekends are required. Undergraduate degree in a related field: museum education, museum studies, public history, or communications. Experience with public programming and/or classroom teaching is preferred. Research and writing experience will also be favored. Experience in education, historic interpretation and office skills. Excellent customer service skills are essential, interacting with diverse audiences. Standard office equipment, applications, and email. Familiarity with Prezi is preferred. Physical Requirements: Ability to perform moderate physical work: stooping, bending, climbing, and lifting up to 50 pounds unassisted; must be able to work in all weather conditions. The Development Associate is responsible for providing administrative support to the Development Department by conducting donor research, generating reports, creating and maintaining event invitation lists, processing and acknowledging gifts, maintaining the Tessitura database and executing other assignments as needed. Collect, analyze and report development data for the Senior Vice President for Institutional Advancement (SVP), Director of Development (DD), Director of Events (DE) and Membership and Database Manager (MDM). This includes campaign revenue reports, donor and membership reports, contact reports and other reports as needed. Utilize iWave wealth screening software to conduct prospect research and generate donor profiles. Draft copy for acknowledgment letters and pledge reminders; coordinate signing and sending of department mailings. Generate lists and execute mail merges for direct mail appeals and event invitations. Communicate with donors, foundations, corporations and vendors as needed to schedule and manage appointments, send and request gift documentation and manage event RSVPs. Coordinate onboarding and weekly assignments for volunteers; plan quarterly recognition activities. Develop and implement data entry standards within Tessitura and maintain data integrity. Process contributions and generate acknowledgement letters; create and maintain acknowledgment rules within Tessitura. Participate in professional development opportunities related to Tessitura and identify department processes that may be enhanced or automated. Adaptability – Maintaining effectiveness when experiencing major changes in work tasks or the work environment; adjusting effectively to work within new work structures, processes, requirements or cultures. Building Strategic Working Relationships – Developing and using collaborative relationships to facilitate the accomplishment of work goals. Building Trust – Interacting with others in a way that gives them confidence in one’s intentions and those of the organization. Communicating with Impact – Expressing thoughts, feelings and ideas in a clear, succinct and compelling manner in both individual and group situations; adjusting language to capture the attention of the audience. Drive for Results – Setting high goals for personal and group accomplishment; using measurement methods to monitor progress toward goal attainment; tenaciously working to meet or exceed those goals while deriving satisfaction from the process of goal achievement and continuous improvement. Formal Presentation – Presenting ideas effectively (including nonverbal communication and use of visual aids) to individuals or groups when given time to prepare; delivering presentations suited to the characteristics and needs of the audience. Initiating Action – Taking prompt action to accomplish objectives; taking action to achieve goals beyond what is required; being proactive. Influencing Others – Using appropriate interpersonal styles and techniques to persuade others to accept a point of view, adopt a specific agenda, or take a course of action that will advance business goals; modifying one’s own behavior to accommodate motivations, situations, tasks and individuals involved. Mobilizing Resources – Managing staff and resources consistent with organizational goals; proactively negotiating and accessing resources outside one’s immediate domain when necessary. Planning and Organizing – Establishing courses of action for self and others to ensure that work is completed efficiently. Ability to perform moderate physical work: stooping, bending, climbing and lifting up to 20 pounds unassisted; must be able to work in all weather conditions. This position may require working around dirt, dust and hazardous materials. 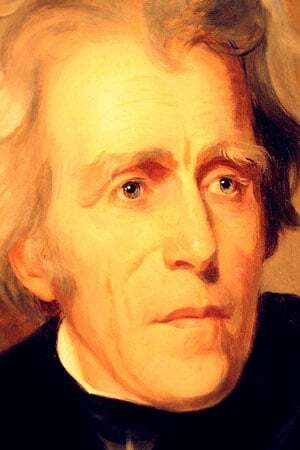 Conveys a professional and positive image and attitude regarding the Andrew Jackson Foundation. Demonstrates commitment to continued professional growth and development. Plans and implements programs. Establishes strong and appropriate relationships with staff, members, donors and volunteers. Develops constructive relationships with executive colleagues, outside agencies, organizations and individuals. Periodic evening and weekend work. This job description is intended to describe the general nature and level of work being performed by the person assigned to this position. Principal duties and responsibilities are intended to describe those functions that are essential to the performance of this job, and “other” duties and responsibilities include those that are considered incidental or secondary to the overall purpose of this job. This job description does not state or imply that the above are the only duties and responsibilities assigned to this position. Staff members holding this position will be required to perform any other job-related duties as requested by management. All requirements are subject to possible modification to reasonably accommodate individuals with a disability. Nothing in this job description restricts the supervisor’s right to assign or reassign duties and responsibilities to this job at any time. The Lead Interpreter facilitates excellent visitor experiences at Andrew Jackson’s Hermitage by serving as a model of excellent interpretive practice to guests and fellow Interpreters. He or she provides efficient and welcoming services to visitors. The Lead Interpreter is a role model and mentors part-time interpreters to foster a spirit of excellence in appearance, public speaking, and visitor services. He or she will also provide special skills to enhance the ongoing work of the Department of Education & Interpretation. Serves as a model of interpretive excellence and authenticity in all interpretive settings. Assists with research and development of interpretive programs. Assists the Interpretive Manager with developing and executing interpreter orientation, training, and remediation. Provides direction to part-time interpreters regarding the preparation and maintenance of interpretive costuming, props, and other resources. Assists in technological endeavors as they relate to the interpretive services. Assists with special events and programs, site-wide, as requested. Coordinates the daily interpretive operations of the site at the direction of the Interpretive Manager. Assists with evaluation of interpretive programs. Assists the Interpretive Manager with the Mansion response to medical and weather emergencies. Open and close Mansion, following established Security procedure and serve as primary communication point at the Mansion. BA in history, education, or museum studies preferred. Mastery of a related historic trade, staff training, or other specialty skill preferred. 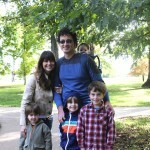 1-3 years’ experience in delivering educational and public programs in a museum or historic home. Knowledge of the principles of museum education, site interpretation and customer service. Must be a self-starter, work well with others, and pay excellent attention to detail. Experience in delivering education programs through a variety of modalities and able to interact with all ages, nationalities, and those who are physically or intellectually challenged. Must be willing to work a flexible schedule including additional evenings and weekends on occasion. Must be adept at managing regular mathematical functions. Proficiency in a second language preferred. Proficiency at using Microsoft Suite. Communication: Clearly conveying information and ideas through a variety of media to individuals or groups in a manner that engages the audience and helps them understand and retain the message. Formal Presentation: Presenting ideas effectively to individuals or groups when given time to prepare; delivering presentations suited to the characteristics and needs of the audience. Initiating Action: Taking prompt action to accomplish objectives; taking action to achieve goals beyond what is required; being proactive. Innovation: Generating innovative solutions in work situations; trying different and novel ways to deal with work problems and opportunities. Inspiring Others: Using interpersonal styles and methods that inspire and guide individuals toward higher levels of performance; modifying behavior to accommodate tasks, situations, and individuals involved. Leveraging Diversity: Appreciating and leveraging the capabilities, insights, and ideas of all individuals; working effectively with individuals of diverse style, ability, and motivation. Quality Orientation: Accomplishing tasks by considering all areas involved, no matter how small; showing concern for all aspects of the job; accurately checking processes and tasks; being watchful over a period of time. Ability to talk or hear; taste or smell. While performing the duties of this job, the employee is occasionally exposed to weather conditions. The noise level in the work environment is usually moderate. 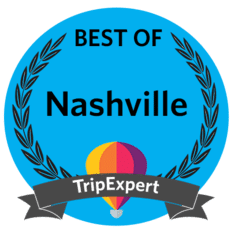 Generate earned income through site group tour sales that will achieve annual budget goals and ensure that these client groups have an excellent experience while at The Hermitage. Assist in packaging and promoting new tour opportunities as well as marketing initiatives. Work with the VP of Marketing and Communications to develop and execute marketing plans through a variety of mediums. Cultivate, sell and close group travel planners and businesses to ensure organizational income goals are achieved. 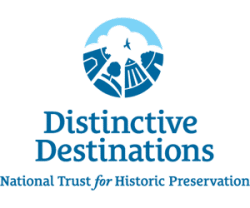 Collaborate with Education and Interpretive Department in packaging sales to groups that include special education and interpretive programs of particular interest to a group. Follow up on all leads provided by outside organizations or businesses as it pertains to tour groups and corporate sales. “Upsell” additional on-site options, such as wagon ride, education classes, lunch services, evening tours and catering options. Respond to requests for information from hotels, group leaders and tour operators; maintain constant relationships with hotel personnel, including front desk, sales directors and concierges. Establish regular communication with tour companies, keeping them aware of new group tour opportunities. Establish and maintain relationships with corporate meeting planners, convention planners, hotel meeting planners, social and civic meeting planners and others responsible for group tour opportunities. Represent The Hermitage at networking functions, i.e. Chamber of Commerce, NCVC and others to promote tours. Coordinate with Guest Services and the Ticket Office to ensure staff is informed and that groups have a positive experience. Make presentations to tourism industry organizations about The Hermitage and upcoming promotions and programs. Prepare monthly reports on progress and activities concerning marketing and communications for the SVP and President & CEO. Prepare and manages annual department budget. Process all group invoices and secure payments in advance of scheduled tour and corporate events. Seek opportunities for special partnership promotions, i.e. AAA ticket sales. Assist on-site with VIP tours for tourism industry, managing groups during tours and greeting groups on their arrival. Represent The Hermitage at annual group tour conferences and tradeshows as appropriate. A minimum of three years of professional sales experience. Experience working in Tessitura or other donor data base/CRM software is preferred. Ability to work both independently without close oversight but also a team player who will productively engage with others at varying levels of seniority within and outside of the Foundation. Adaptability – Maintaining effectiveness when experiencing major changes in work tasks or the work environment; adjusting effectively to work within new work structures, processes, requirements, or cultures. Communicating with Impact – Expressing thoughts, feelings, and ideas in a clear, succinct and compelling manner in both individual and group situations; adjusting language to capture the attention of the audience. Influencing Others – Using appropriate interpersonal styles and techniques to persuade others to accept a point of view, adopt a specific agenda, or take a course of action that will advance business goals; modifying one’s own behavior to accommodate motivations, situations, tasks, and individuals involved. Mobilizing Resources – Managing resources consistent with organizational goals; proactively negotiating and accessing resources outside one’s immediate domain when necessary. Ability to perform moderate physical work: stooping, bending, climbing, and lifting up to 20 pounds unassisted; must be able to work in all weather conditions. This position may require working around dirt, dust and hazardous materials. Conveys a professional and positive image and attitude regarding The Hermitage. Demonstrates commitment to continued professional growth and development. Do you have a passion for American history and an interest in sharing stories with the public? Then apply for the position of Historic Interpreter! Interpreters spend their days engaging our visitors with stories, information, and conversation about the people, places, and events of Andrew Jackson’s home, family, and times. Interpreters guide visitors through Andrew Jackson’s Hermitage for about 24 hours per week, with occasional nights, weekends, and holidays. Interpreters wear historical costumes and must be able to walk and stand for long periods of time in all sorts of weather. The Andrew Jackson Foundation has an immediate opening for a full-time entry level position maintenance technician. Salary: $12.00 to $14.00 /hour based on experience. Principal Duties and Responsibilities: Perform job function and conduct daily operations, consistent with policies and procedures in a safe and responsible manner. Perform maintenance work including carpentry, painting, and other trades as directed. Daily responsibilities include monitoring, maintaining, and providing preventive care on all mechanical, electrical, and plumbing systems and monitoring, maintaining, and recommending repairs or improvements for all buildings on AJF property. Work with outside contractors and vendors in a professional manner as required by the Facilities Maintenance Manager. Additional Duties and Responsibilities: Provide maintenance support for other departments including small repairs and construction as directed. Assist with special event set-up and tear-down. Provide vehicle maintenance as required. Report to superiors or record all maintenance work to ensure well-kept maintenance logs. Maintenance Technician will be required to perform other duties as assigned. Occasional weekend and emergency call in work will be required. Education/Training: High school diploma or equivalent. Experience, Skills, and Abilities Requirements: 1 year general maintenance work desired. 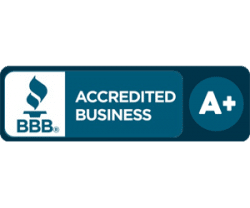 Requires good teamwork; good inter-personal skills; customer service skills; professional demeanor and appearance; and maintaining confidentiality. Physical Requirements: Ability to perform heavy physical work, including exerting up to 50 pounds of force unassisted, lifting, climbing, stooping; must be able to work in all weather conditions. The Andrew Jackson Foundation is an equal opportunity employer. Qualified applicants must have a valid driver’s license and pass a background check. All qualified applicants must submit an application. 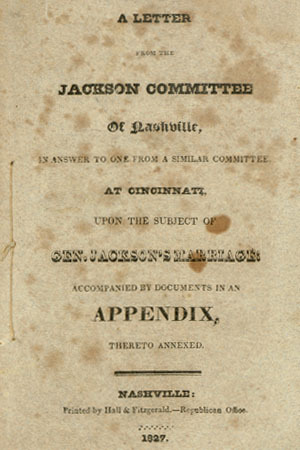 Applications may be picked up at the Ticket Office at Andrew Jackson’s Hermitage or requested by email from [email protected]. Andrew Jackson’s Hermitage is looking for an outgoing, professional person with excellent communication skills and the ability to multi-task in a fun, fast-paced environment. 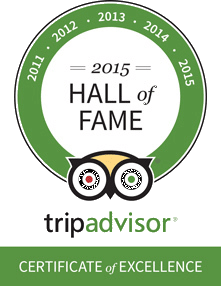 The Guest Service Associate must have a strong work ethic, the ability to multitask during busy times, stamina to keep calm under pressure, the ability to speak to large crowds or one-on-on with people, and the capacity to stand for long periods of time. 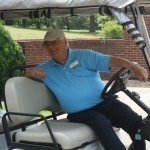 The Guest Services Associate will assist in the day to day operations of the Andrew Jackson Visitor Center including opening/closing functions, welcoming museum guests with a high level of customer service, provide audio equipment to guests who request it, convey large amounts of information in a short amount of time, and have knowledge of the property and any current events or programs. This is a part-time job. Applicants must be available to work at least 20 hours per week. Be flexible to work weekends and holidays where necessary and on occasion when you are called in to work on regularly scheduled day off. Some college preferred, but not required. Must be at least 18 years of age with a valid driver’s license and consent to, and pass, a background check as conditions of employment. Andrew Jackson’s Hermitage is seeking a passionate and motivated individual to join our garden team. This part-time, Gardener 1 position will be responsible for garden and landscape maintenance in our highly trafficked, 1.35-acre Historic Garden, and on our outstanding 1,120-acre National Historic Landmark site. The right candidate will have professional gardening experience and an eye for detail. As a member of our team you will be accountable for the preservation of The Hermitage garden and will help support all aspects of our garden operations. Duties daily will include landscaping, gardening, soil maintenance, infrastructure upkeep, fertilizing, watering, and maintaining flowers, trees and shrubs. The ability to use hand tools, do physical labor, think critically, and work in all weather conditions is required. Experience in sustainable gardening, and power tool proficiency is desired. Public garden experience preferred, but we will train the right candidate. Andrew Jackson’s Hermitage: Home of the People’s President is one of the largest and most visited presidential homes in the United States. Opened as a museum in 1889, it is one of the nation’s oldest presidential sites, drawing more than 219,000 visitors each year. 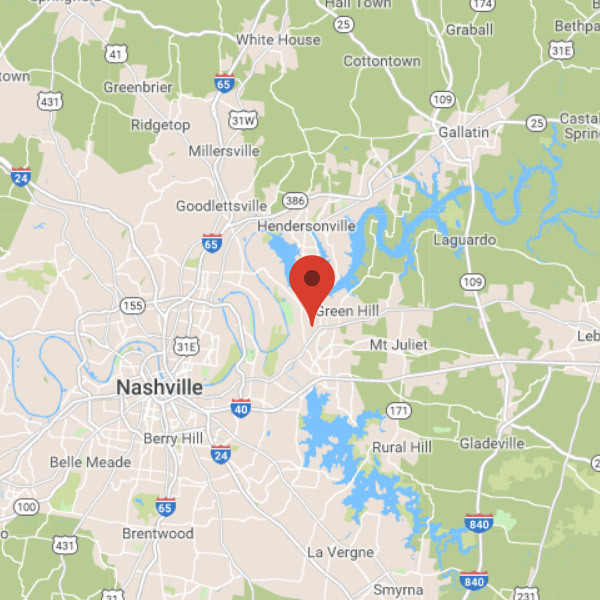 Located 12 miles northeast of downtown Nashville, The Hermitage is a 1,120-acre National Historic Landmark with 27 restored buildings, 12 dating to Jackson’s ownership, including his 1836 mansion and tomb, slave cabins, garden, and the church he had constructed for his beloved wife, Rachel. 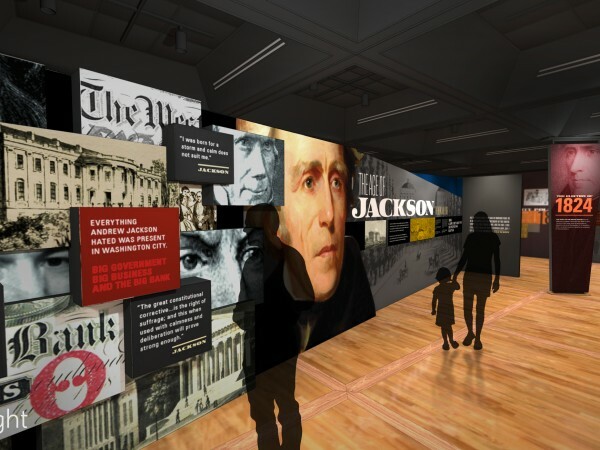 In the Andrew Jackson Center, guests can experience Andrew Jackson: Born for a Storm, an interactive exhibit about the life and profound impact of our seventh president on the history of the United States. Admission is free for active duty military and half-price for veterans. 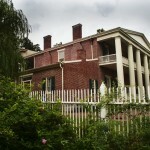 For more information, visit www.thehermitage.com.